Certified Openings: None Learn More About Us : Click Here Classified/Support Staff Openings: Bus Drivers (Immediate Opening): $17-$25 per hour depending on experience * Please contact Joe . . .
Certified Openings: None Learn More About Us : Click Here Classified/Support Staff Openings: Bus Drivers (Immediate Opening): $17-$25 per . . .
Certified Openings: None Learn More About Us : Click Here Classified/Support Staff Openings: Bus . . . The Anselmo-Merna Board of Education is requesting proposals to remove and replace the current track with a new six-lane all-weather competition track that meets the requirements for both State and National governing . . . The Anselmo-Merna Board of Education is requesting proposals to remove and replace the current track with a new six-lane all-weather competition track that meets the . . . The Anselmo-Merna Board of Education is requesting proposals to remove and replace the current track with a new six-lane . . .
Anselmo-Merna Public School is now accepting applications for our Preschool and Junior Kindergarten programs for the 2019-2020 school year. Preschool and Junior Kindergarten are free for resident students, students with . . .
Anselmo-Merna Public School is now accepting applications for our Preschool and Junior Kindergarten programs for the 2019-2020 school year. Preschool and Junior Kindergarten . . .
Anselmo-Merna Public School is now accepting applications for our Preschool and Junior Kindergarten programs for the 2019-2020 school . . .
Beginning in the 2019-2020 school year, AMHS juniors and seniors will have the opportunity to enroll in CAPS. This is a course that will allow students real-world experiences in a career of their interests. We are proud to partner . 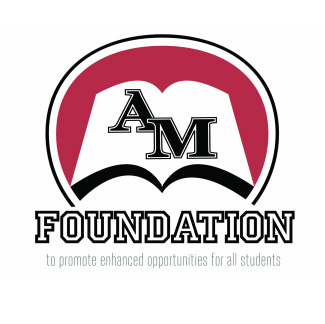 . .
Beginning in the 2019-2020 school year, AMHS juniors and seniors will have the opportunity to enroll in CAPS. This is a course that will allow students real-world experiences in a career . . .
Beginning in the 2019-2020 school year, AMHS juniors and seniors will have the opportunity to enroll in CAPS. This is a course that will . . . Broken Bow (9/10) Track Meet 4:00 p.m.